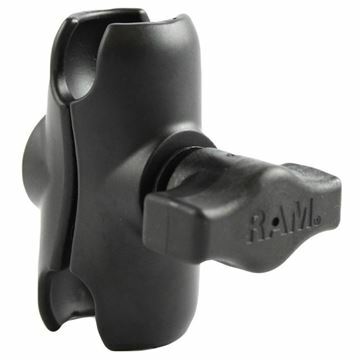 The RAM-B-230U Double 1" Ball Adapter has two 1" rubber balls that can be connected to two compatible RAM socket arms for added flexibility. The RAM-B-230U RAM Double 1" Ball Adapter from the RAM Mount Arms range is the ideal double ball joiner, and it is made up of a pair of 1” rubber balls on either end of the product, which allows it to join a pair of inch-long socket arms. If your mount arm needs just a little more reach, this mount is ideal for you. 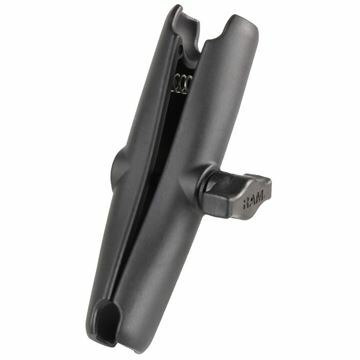 The RAM-B-201U-A Short Double Socket Arm for 1" Balls is a short socket arm that can connect to RAM Mounts and bases with a 1" diameter rubber ball. The RAM-B-201U-C 6" Double Socket Arm for 1" Ball Bases is a 6" socket arm that can connect to RAM Mounts with 1" diameter ball bases. 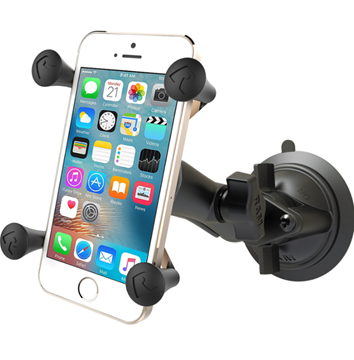 The RAP-B-166-UN7U Universal X-Grip Cell Phone Cradle with Mount has a 3.3" suction cup with twist lock and four leg X-Grip® to cradle your mobile phone.